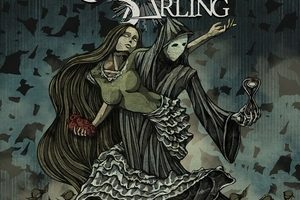 The second time that Cellar Darling has managed to snag album of the month here at Dead Rhetoric, one listen to The Spell and its easy to see why. Upping their game from the eclectic but engaging debut This is the Sound, the band have managed to capture magic this time in completing an entire story that tells the tale of a girl who falls in love with Death. 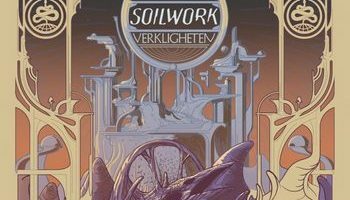 Embracing their proggier side, the story moves through a variety of moods and tempos in such a way that you will be completely drawn into the story, and certainly impacted by its finale. 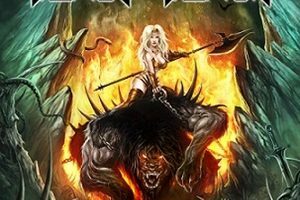 This is the type of release that sets a new bar for storytelling in heavy metal. Advancing their music into more complex and layered offerings may not strike a chord with everyone. The immediately hook-y nature of songs like “Avalanche” or “Challenge” simply aren’t on this album. But that’s perfectly acceptable, because The Spell is so, so much more. It demands your attention. It encourages you to be more than a passive listener. It’s something that you can fully engage in, be it in the glorious illustrations that accompany each track done by Costin Chioreanu or the spellbinding audiobook that has not once failed to elicit teary eyes from this scribe by the time it reaches its open-ended and thought-provoking conclusion. Or you can simply sit down and engulf yourself in all aspects of the music. Close your eyes, put on some good headphones, and just absorb the ebb and flow of each track. Even more so than This is the Sound, The Spell feels magical – able to whisk you away into its dark fairytale completely if you let it. The Spell is a one of a kind experience. An album that is truly special in the way that it handles moving, emotionally-rich storytelling and crafting a musical landscape that allows it to feel like a complete, engulfing journey. While it will mostly likely require a few listens for it all to really sink in and realize what the band has accomplished, there are few releases that have inspired a need to really explore all facets of it and explore the deeper meanings behind it all than The Spell has. Majestic, gripping, and hauntingly beautiful, there should be no shortage of praise in describing what Cellar Darling have done. Not just in what will definitely be one of 2019’s strongest efforts, but in setting the bar even higher for what can be achieved through the combination of music and storytelling. An album to be cherished, and one that won’t leave the mind of this scribe anytime soon. 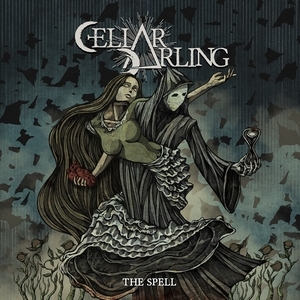 Read our interview about The Spell with all three members of Cellar Darling HERE.